Vegan Cuts: In Which I Tell You How Much I Love Them and Then Host A Giveaway! If you spend much time poking around the internet, you may have noticed that there are loads of companies these days cashing in on the monthly subscription box concept. 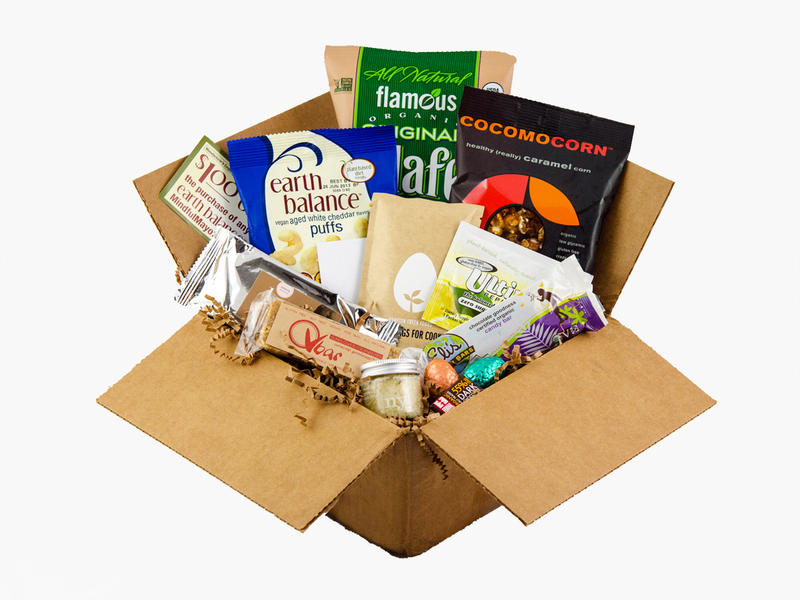 The idea behind this is basically that you (the consumer) pay a monthly fee to be shipped a box full of mystery products once per month to sample. It gives the consumer a sense of surprise and fun, plus the ability to try new things. I liked this idea for a long time, but wanted to be sure that I found a subscription club that I could trust to not let me down. Even though unsubscribing is always an option at any time, I still wanted to find something to enjoy for a while. It is truly disappointing to wait to get your package in the mail, open it up with excitement and then see little in it that interests you. That is not a good time. But, I’ve found Vegan Cuts and Vegan Cuts IS a good time. They have totally made me a believer in the genius of the monthly subscription mystery box process. I had tried another very popular program and was disappointed, but wanted to give it another try with someone else and I’m so glad I did. I have received 3 boxes from Vegan Cuts so far and have been delighted with each one. They have been filled with quality products, suiting my lifestyle and dietary preferences by the nature of the products they carry, and I have discovered some really fantastic items that I doubt I would have before. Plus, it’s just plain fun. I’ve always been the type of person that loves getting mail (when it’s not a bill or a jury summons, that is). It really is like getting a little present sent to me each month and seeing it on my doorstep is always a bright spot in my day. The majority of the items are food products, but I’ve also received body and skin care items, which is an extra special indulgence. My favorite discovery so far has been Vbars. I am a BIG fan of nutritious, minimally processed snack bars. I made a list a while back of some of my favorites, which you can see here, though if I was going to make this list again today, Vbars would definitely be on it. 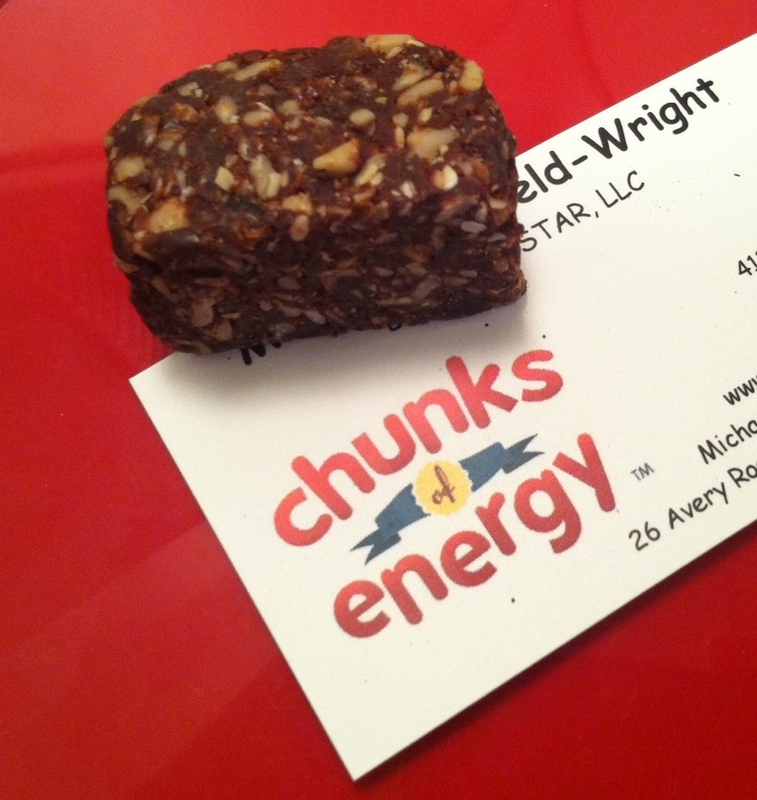 They are unbelievably tasty, hit the right nutritional notes for me, and have a slightly crunchy texture that I love. YUM. I was also was excited to try the Food Should Taste Good Sweet Potato Chips that came in my most recent package. Sweet potatoes aren’t normally my favorite, but clearly I have been eating them wrong, because these are fantastic. One of the things I particularly like about Vegan Cuts is that they have an online storefront where items received in your box can be purchased individually if you find something you love. I jumped on this opportunity with the Vbars and have already ordered two boxes of them. It is nice to get to experiment with these products and then have immediate access to get the items that stand out to you. Clearly, I’m a fan of this company. I became even a bigger fan when they generously agreed to give away one Vegan Cuts box to a reader! I’m delighted to be able to share the love with one of you and hope that someone else will have as much fun with this as I am having. The winner will be selected at random and will be shipped their very own Vegan Cuts box for one month. To enter to win your Vegan Cuts box, simply leave a comment below telling me what kind of treat you would hope to find in your mystery box. You can check out their partner companies at the website here for more ideas on what they may send. This giveaway will close at midnight (PST) on Wednesday May 8th, and I will announce the winner later in the week. I was going to present to you photos and writings about beautiful grape leaves. Bright, flavorful grape leaves that had been lovingly stuffed, rolled, and cooked over low heat in a slow cooker for several hours before being presented and served as part of a delicious Mediterranean dinner. You shouldn’t be disappointed because these are really good muffins. I, however, am slightly disappointed because I was really excited about grape leaves. But I suppose sometimes we all fall prey to kitchen disasters and my grape leaves were a casualty. I started making them on a day that had been a bit rough for me. I was feeling frustrated and cranky and worn out. It happens. Anyway, I was looking forward to the meditative act of cooking and set to it. In my funky state, however, I got so caught up in rinsing, patting dry, and de-stemming each individual grape leaf that I didn’t pay proper attention to the filling mixture that was cooking away on the stove-top. Needless to say when I checked on it, it was too late. Burnt rice is nobody’s friend. Thanks to Trader Joe’s being about a minute away from my apartment, I managed to still serve a full dinner by adding on some pre-made TJ’s appetizers to the rest of the food that I was making (my fattoosh salad, homemade paprika-spiced hummus, and pita bread), but my cooking pride took a hit nonetheless. 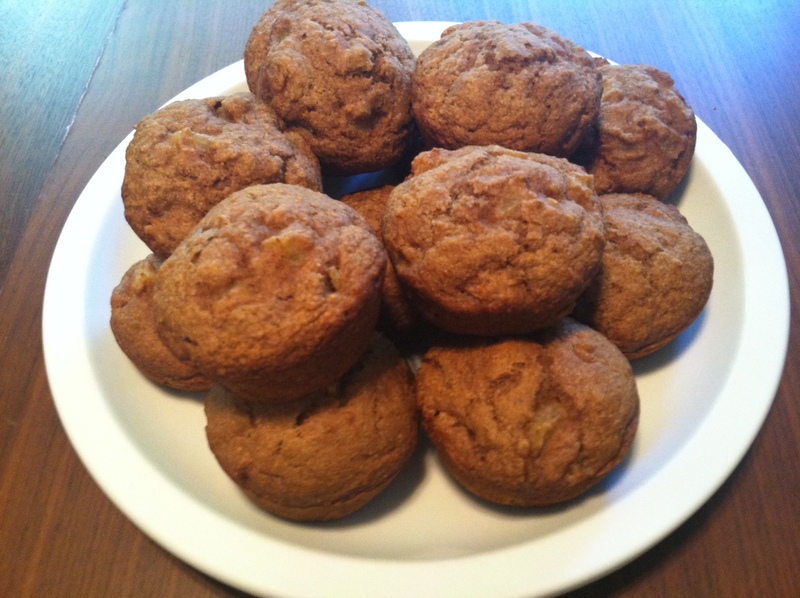 The next day, I needed to redeem myself, so muffins happened. 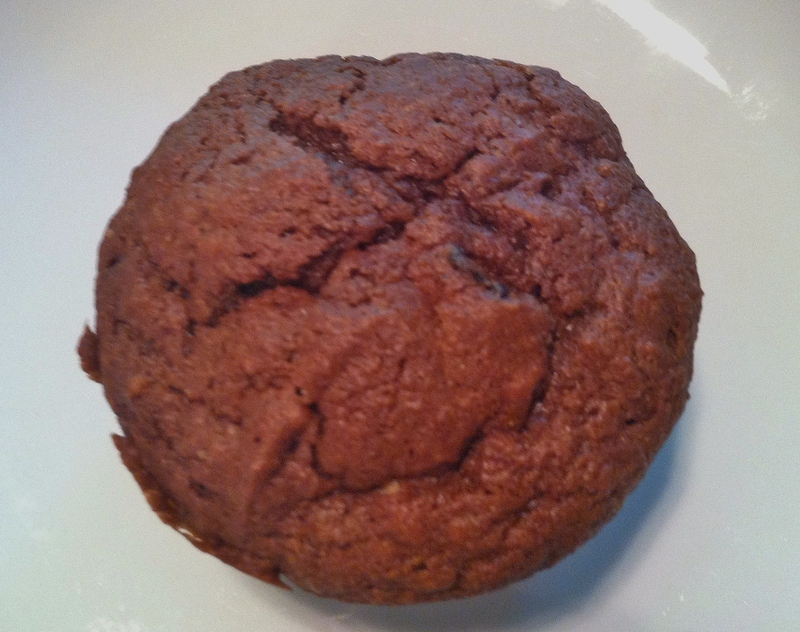 This muffin recipe is adapted from a cookbook that I borrowed from my local library. Loads of tasty looking things live in this cookbook, by the way, and I was certainly pleased about how these turned out. 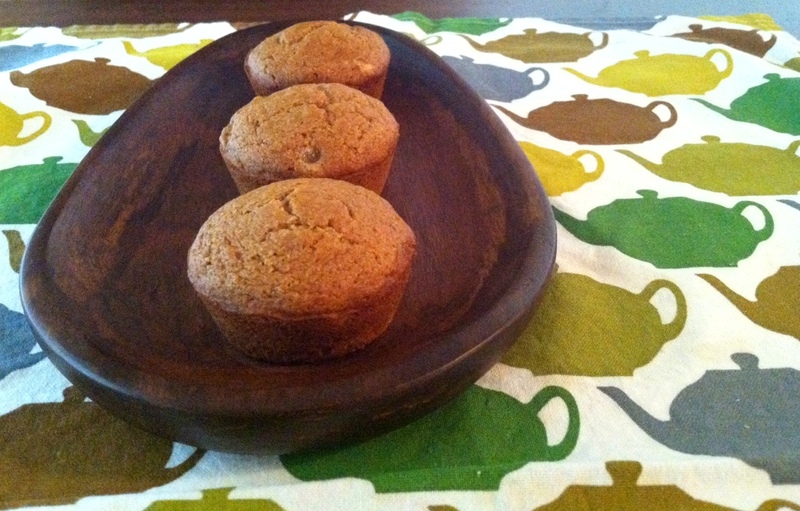 I am a huge fan of the texture of these muffins, as well as the minimal sugar content. If you like them sweeter, you can certainly add additional agave or a bit of sugar (I would recommend turbinado or light brown sugar), but I also found that spreading a bit of apricot preserves on them before eating finished them off nicely. Enjoy them for breakfast or an afternoon snack. Or, as the cookbook originally suggested, with a cup of tea. Just please make sure you are feeling quite proper and sophisticated if you enjoy them with tea. Tea tastes best that way. Pre-heat oven to 350 degrees. Spray your muffin tins (you will need 12 muffin cups) with cooking spray. In a large bowl, whisk together your flour, baking powder, baking soda, salt, cinnamon, and nutmeg. Set aside. Make a well in the center of your dry ingredients and pour in wet ingredients. Using a wooden spoon or rubber spatula, stir together to combine all ingredients. Stir until smooth. Then, pour in chopped apricots and stir together just a few more times to distribute apricot chunks. Distribute your batter evenly into the 12 muffin cups (approximately ¼ cup of batter per muffin). Bake 16-20 minutes or until a wooden toothpick is inserted and comes out clean. Place muffin tins on a wire rack to begin to cool for 3-5 minutes. Then, remove muffins and let cool completely on a wire rack. These muffins can be enjoyed just as they are, drizzled with agave or honey, or topped with additional fruit preserves (I tried them all the ways!). Sometimes only chocolate will do. I actually don’t bake chocolate items all that often, but some days . . . it absolutely must be done. Last weekend was such a case. I wanted chocolate cake. But I didn’t want a giant, frosted chocolate cake. I wanted something smaller, something that I could pull apart with my hands as I ate it. Perhaps a bit denser then a layer cake, but still soft and spongy. I also wanted add-ins. I was imagining some sort of treat baked into the chocolate batter, something that would compliment the chocolate flavor without taking it over. I was inspired! But I needed a basic recipe to start with. Enter one of my most trusted food blogs. Smitten Kitchen has yet to lead me astray. Everything I have made from this fantastic site has been tasty and satisfying. So when I was able to find this recipe for Chocolate Yogurt Snack Cakes (originally from David Lebovitz’s The Sweet Life in Paris), I knew I had my starting point. I made several adaptations to the recipe in order to create the kind of cakes I particularly wanted and they came out wonderfully. 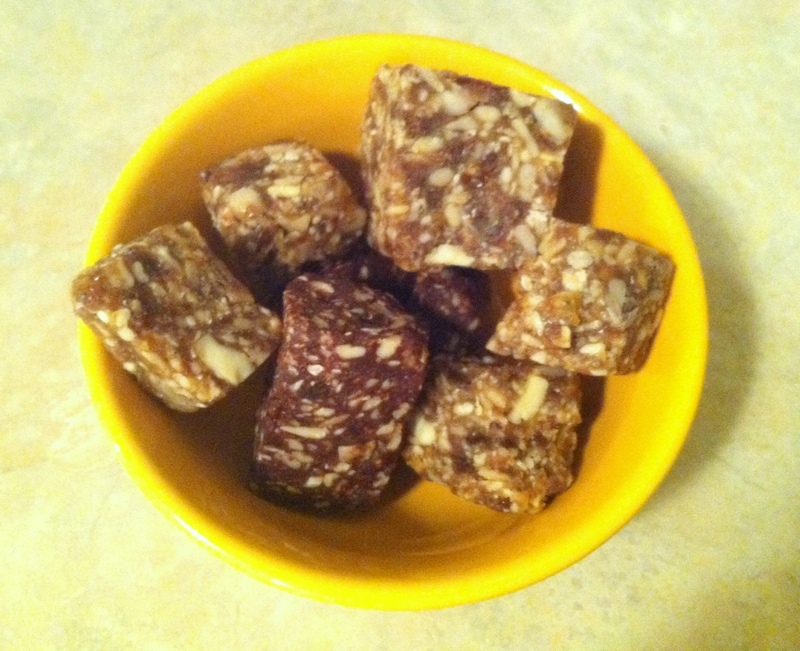 I love the texture of these snacking cakes, as well as the versatility. They feel appropriate for just about any time of day – perfect for a sweet treat at breakfast, a snack throughout the day, or a light post-dinner dessert. Adding the dried cherries really did add something special to the flavor of these, I think. I used a moderate amount so they didn’t overwhelm the other components, leaving chocolate as the stand out ingredient. The flavor, though, that the cherries contributed was lovely. The combination of the almond oil and almond extract also imparted a deeper flavor to the cakes, though if you’re not a fan of almond flavor, you could easily substitute a different oil and omit the extract. I’m actually curious how orange extract would be in these, in place of the almond. I may have to test that out soon! Preheat oven to 350 degrees. Coat muffin pans with cooking spray. In a large bowl, whisk together the flours, baking powder, and salt. Set aside. In a medium bowl, whisk together egg replacer with water (or eggs) until just combined. Add applesauce, yogurt, sugar, vanilla and almond extract. Stir until well combined. Chop the dried cherries into small pieces. Melt your chocolate with the almond oil. You can do this in a heatproof bowl over lightly boiling water on the stove, or in the microwave (as I did). Combine the chocolate and oil in a microwave safe bowl and heat for 30 seconds. Stir. Heat for 20 more seconds. Stir again. Repeat until the chocolate is completely melted and combined with the oil. Create a well in the center of the flour mixture. Pour in the yogurt mixture and stir together until just combined. Then, pour in the melted chocolate and continue to stir until all the dry ingredients are well incorporated. Finally, fold in the chopped dried cherries so that they are distributed throughout the batter. Spoon batter into muffin cups (about ¼ cup batter in each cup). Bake for approximately 20 minutes, or until a toothpick inserted comes out clean. Let stand for 5 minutes in the tins, then remove and allow to cool on a wire rack. – You could certainly use other flours in these. I particularly liked the combination of the whole wheat pastry flour, which I think contributed to a lighter texture, with the spelt flour, which complimented to the nutty undertones of flavor. – Add toppings if you like. A dusting of powdered sugar, a glaze, or a ganache would be lovely. I just wasn’t in the mood! For two weeks it seemed like every day when I opened up my blog feeds, I came across a new plum recipe. I like plums, you see, but they aren’t one of my go-to fruits. When push comes to shove, I often pass them over for other fruits of the season. But they just kept showing up. And, they looked amazing. Plum coffee cake. Plum upside down cake. Plum jam. Plum tarts. You name it. The photos lured me in and the descriptions of the items won me over. I needed to partake in the plum frenzy. As is typical of me, I loved the photos of the fancy, decadent plum cakes, but ultimately, I decided that making something a bit less fancy, a bit more portable, and a tad bit healthier would be more to my liking in the long run. So I baked plum muffins. I came across this plum muffin recipe on Whimsi Market Mag, made a few adjustments to suit my preferences, and donned my apron! 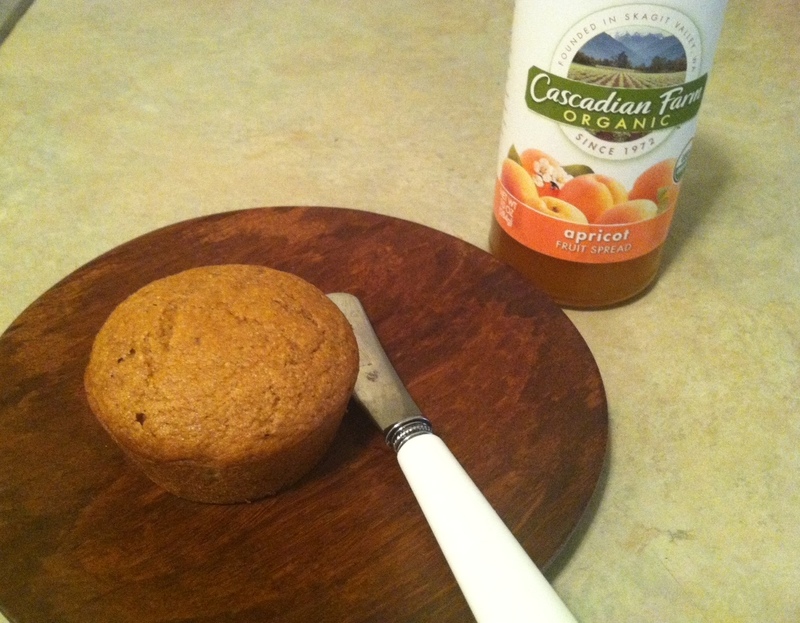 The result was delightful – a just slightly sweet muffin with a really great soft texture to bite into. Perfect for breakfast. Or dessert. Or an afternoon snack. Or a lunch treat. While I hesitate to call such a baked treat healthy, these certainly aren’t unhealthy. 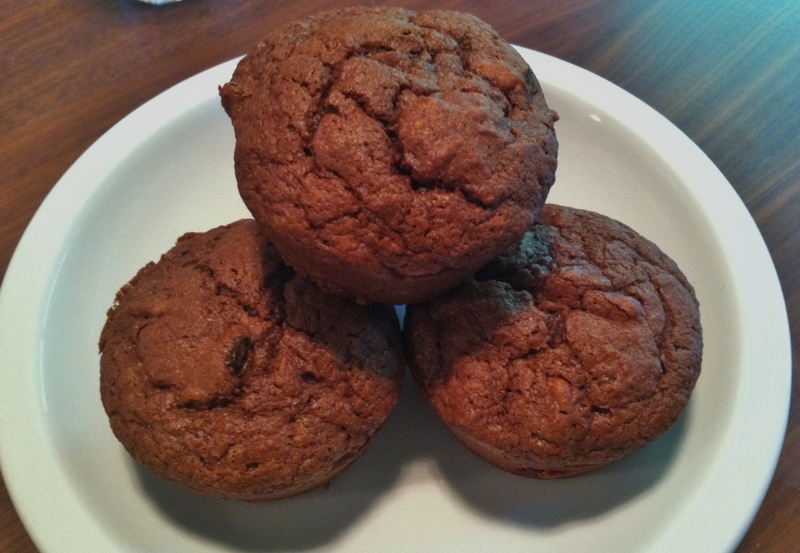 Basic, clean ingredients and a nominal amount of sugar and fat make a muffin that you can feel good about eating any time of day. I have been eating mine as is, but I imagine they would be quite nice with some butter, lemon curd or jam on them, as well. Preheat oven to 375 degrees and coat muffins pans with cooking spray. Combine flour, baking soda, cinnamon, brown sugar, and salt in a large mixing bowl and whisk together until combined. In a separate bowl, combine almond oil, applesauce, almond milk, and vanilla. Stir until just combined. Create a well in the center of the dry ingredients and pour in wet ingredients. Mix together with a spatula or spoon until smooth. Add chopped plums to the batter and stir them into the batter, until well distributed. 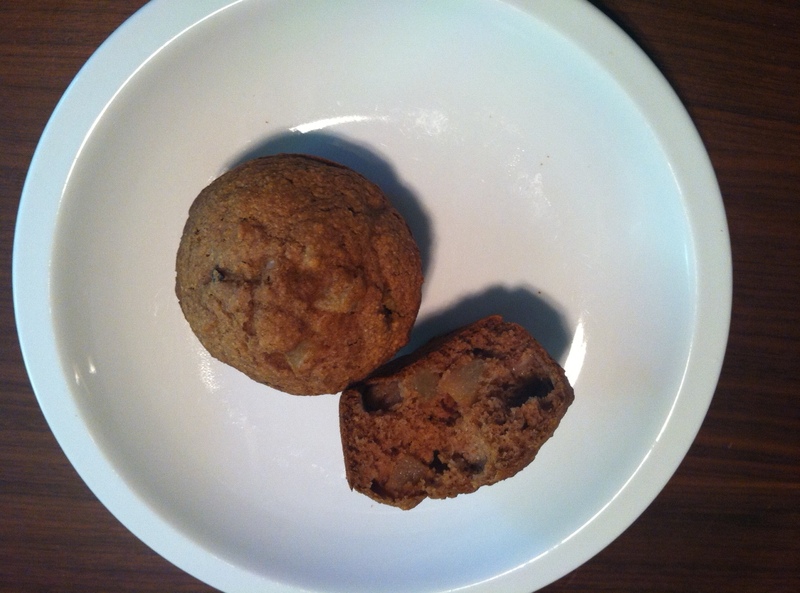 Spoon or pour approximately ¼ cup batter into each muffin cup. 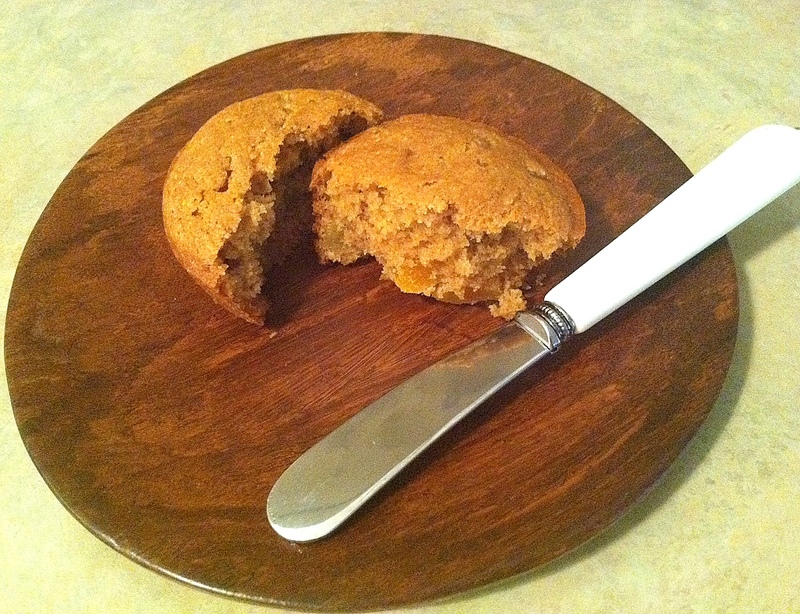 Bake for 12-15 minutes or until a wooden toothpick can be inserted into a muffin and come out clean. Cool on a wire rack. *** Note: I suspect that these would be also be nice with some chopped nuts added in if you are so inclined!